Superbly created profile with the modern working in mind! 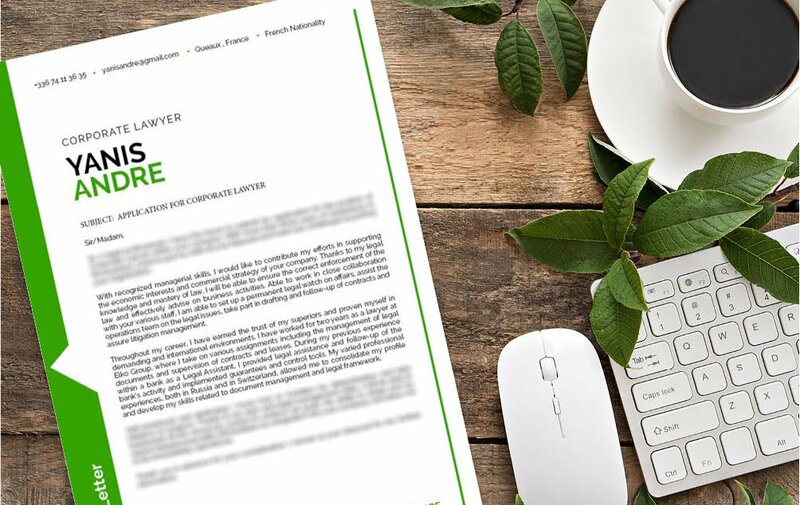 The best cover letter template for law professionals. 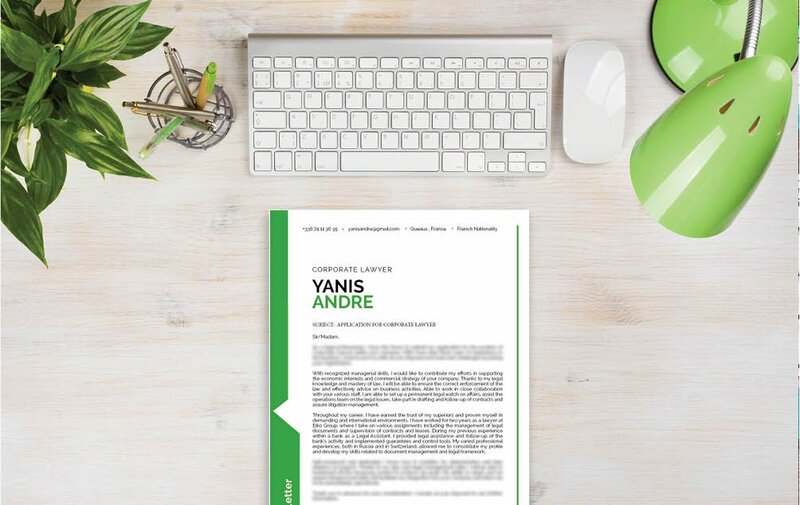 Cover letter to download "Law-1"
This template has a clear and concise format, making it the perfect CV for you! This simple template has a clean and well-structured layout that is good for anyone who’s aiming to be a corporate lawyer. 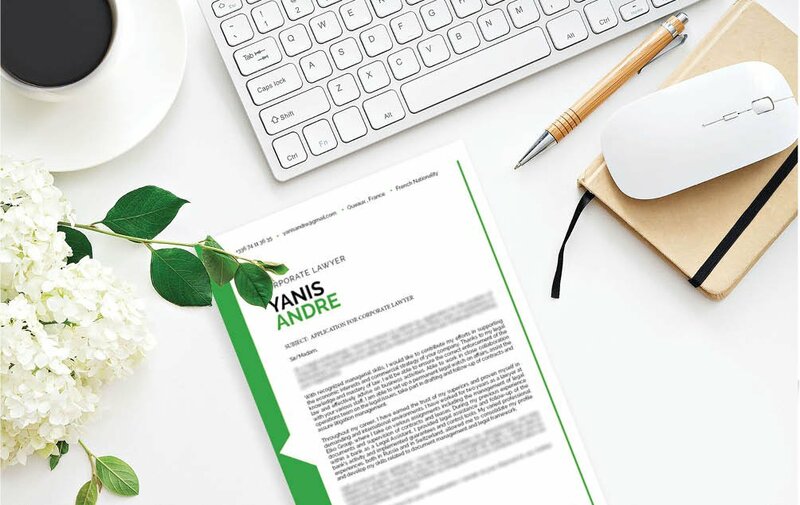 In addition, this cover letter template is especially ideal for applicants who have a strong set of qualifications as all the information essential to the job objectives are clearly laid out. 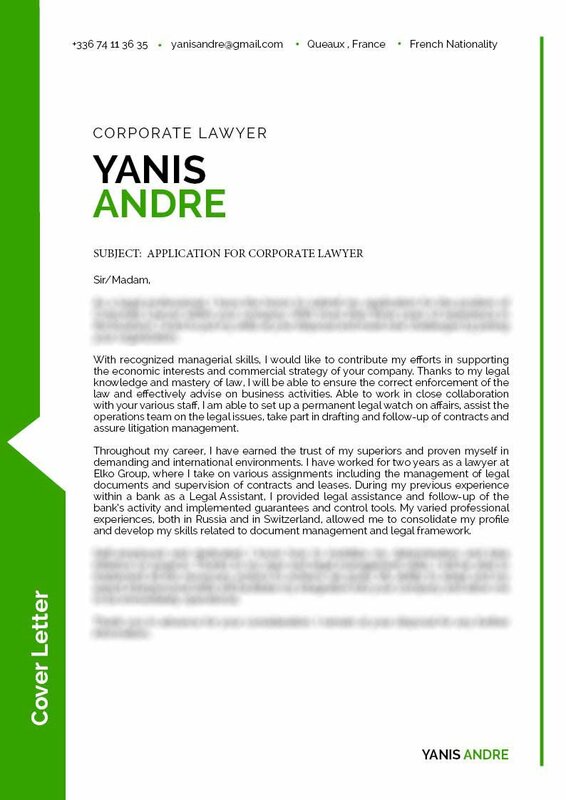 With this cover letter, that dream job as a corporate lawyer! An effective cover letter will get you more job interviews, impress more hiring managers, and get you hired faster. But how can you make such a cover letter? Use simple, but professional looking fonts such as Serif or Sans Serif. Select a font size between 11-12 and selectively apply italic/bold font styles to guide the reader's eyes. Make good use of graphics to bring attention to the key parts of your cover letter. Lastly, give your cover letter a logical format by using wide-spacing, headings and subheadings.